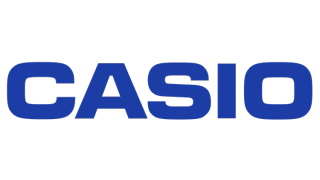 Casio announced the launch of the XJ-UT311WN, the newest LampFree model in the Ultra Short Throw series, and TCO Certification for three of its Ultra Short Throw LampFree projectors at InfoComm 2017. The XJ-UT311WN features a built-in 0.28:1 fixed lens. The built-in short throw lens and advanced mirror system provides a close throw ratio and projects an 80” image from just 1.5 feet away (up to 110” diagonal). The XJ-UT311WN produces 3,100 lumens of brightness and boasts WXGA (1280 x 800) resolution, producing up to 1.07 billion colors, with a 20,000:1 contrast ratio which is ideal for displaying HD content from video and computer sources. In addition to projecting at close range, the XJ-UT311WN is equipped with Casio’s cool-running Laser and LED Hybrid Light Engine that lasts for up to 20,000 hours. This technology combines a laser and LED light source to create a high-brightness, mercury-free tool. The projector also offers a full assortment of connectivity and features. Network (RJ-45) and local RS-232 connections provide control and remote status monitoring capabilities and a wireless presentation adaptor is included. TCO Certified is an international third-party sustainability certification for IT products administered by TCO Development, a non-profit organization based in Sweden.